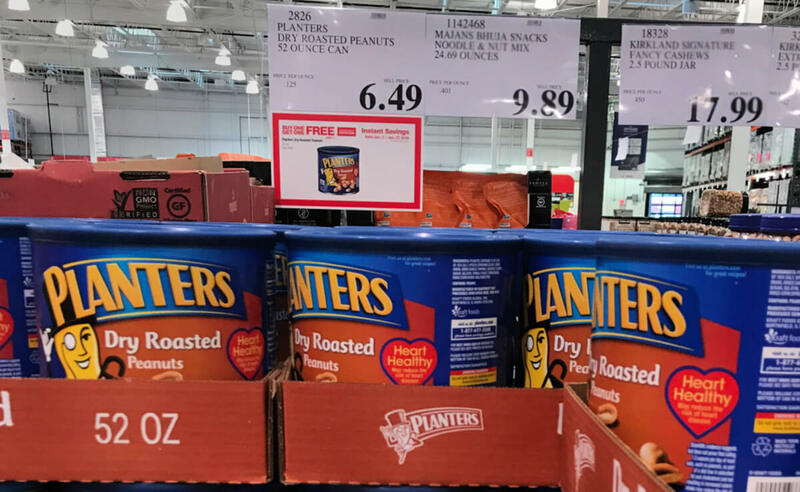 Costco: BOGO Planters Dry Roasted Peanuts – $0.06 per oz! 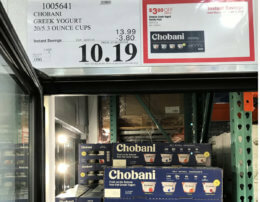 Check out this super deal at Costco that is going on until 1/27. You can pick up TWO Planters Dry Roasted Peanuts, 52 oz. cans for $6.49! 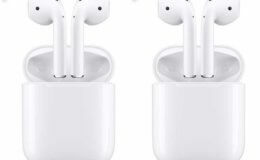 That is $3.25 per container, which works out to approximately $0.06 per ounce. They are BOGO! This is a great price and right in time for those Super Bowl parties. Normally the price is $6.49 per 52 oz. 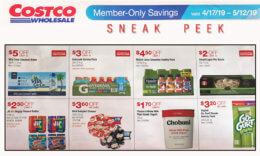 can but there is a Instant Savings BOGO offer, so you get two containers for the price of one. There is a no limit on the amount of offers you can purchase. Planters Dry Roasted Peanuts, 16 oz. – $2.79 (sale price) – $0.17 per oz. Planters Dry Roasted Peanuts, 52 oz. – $7.98 – $0.16 per oz.